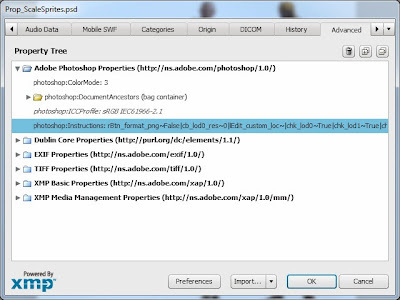 Pete Hanshaw: PSD Metadata and Real time GUI updates. 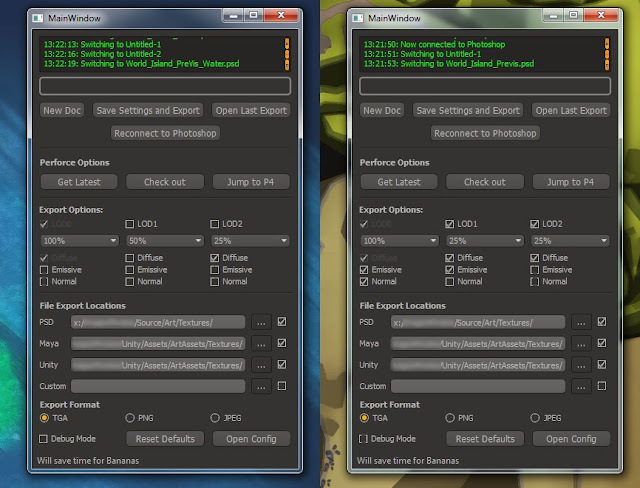 PSD Metadata and Real time GUI updates. It might not be the absolute best solution, but I have been able to put into practice my idea of storing the tool settings in the PSD metadata, and it actually works pretty well. On export, go through a dictionary of controls inside the GUI and check the settings. Store each object name and it's setting as a text block with easily splittable characters. For this I chose to use ~ and | as neither of these are used for windows file or directory names. Write this text block to the PSD metadata. Meanwhile, in the export, use the GUI's current settings to determine output locations, formats and files to include. 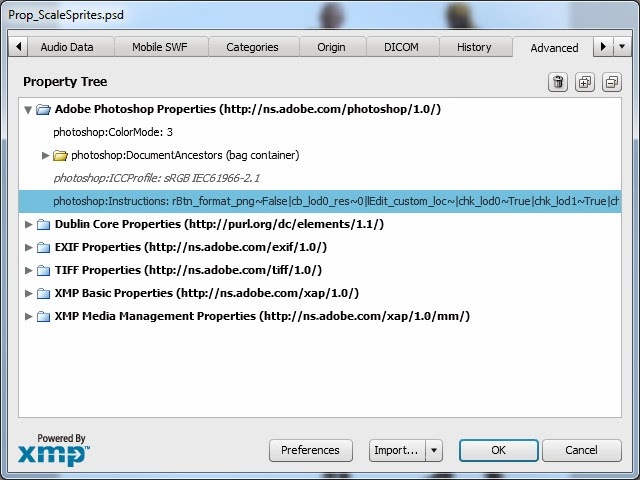 A background thread is constantly listening for any changes in the current active Photoshop document. If the name of the document changes, it automatically kicks off a function that reads the metadata out of the active PSD and splits it into objectName, setting value pairs. If no data is found, it kicks off a process to apply default settings. This data is passed to another function that finds these QT objects, and applies the relevant setting recast as the applicable object type- eg bool, int, string. These settings are only saved when the document is exported. I'm expecting a little grief from the artists about this if they switch documents before exporting them at least once, so I might try to fix it. The Stored Metadata, ready to be read back by the tool. With the listener process working on a pretty short timer and a very simple function, it's possible to get what feels like real time feedback in the tool without experiencing any lag or hangs. This is the first time I've made a tool where it's a two way street- usually it's just my tool telling Photoshop what to do. It's actually pretty satisfying to click between documents in Photoshop and watch all the checkboxes of Texture Monkey light up and change. Main settings to be saved are the different maps and resolutions associated with the various LODs, although settings for format and destination folders are saved as well.